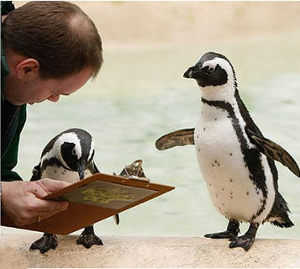 A man with a clipboard asks survey questions to 2 penguins. Image source. There was a box where you could write your religion (or lack thereof) and ALMOST EVERY SINGLE PERSON wrote a DIFFERENT thing. Including several spelling variations of "atheist." I lolled. purity culture - Miss me with your "we are all sexually broken" hot takes. I'm asexual.